Abhyanga, also known in the Western world as "the great (Ayurvedic) oiling", is a form of Ayurvedic massage. It is usually carried out with heated oil, but also with pastes or other substances. Abhyanga is used as preparation for detoxification treatments and is part of Dinacarya (recommendations for daily life), so called wellness treatments. With this treatment, which comes from the Indian Kerala, warm herbal oil is filled in a dough ring, placed on specific regions of your back. This is how the oil develops a powerful healing effect: blood, muscles and connective tissue are cleansed and nourished and the intervertebral discs and joints are lubricated. This procedure is used to reduce obesity and swelling or edema. In addition, it prevents skin problems. 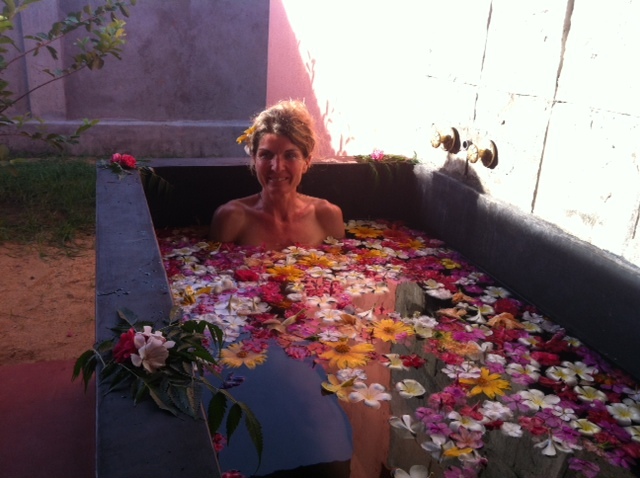 The body is covered with a specially prepared paste of healing earth and herbs until it begins to solidify. After a gentle facial massage, a specially prepared mask of medicinal herbs is applied to the facial skin. This treatment reduces wrinkles, removes blackheads, pimples, acne scars, dark circles and freshens the facial skin. Herbal juices and healing oils are introduced into the nose during several days. 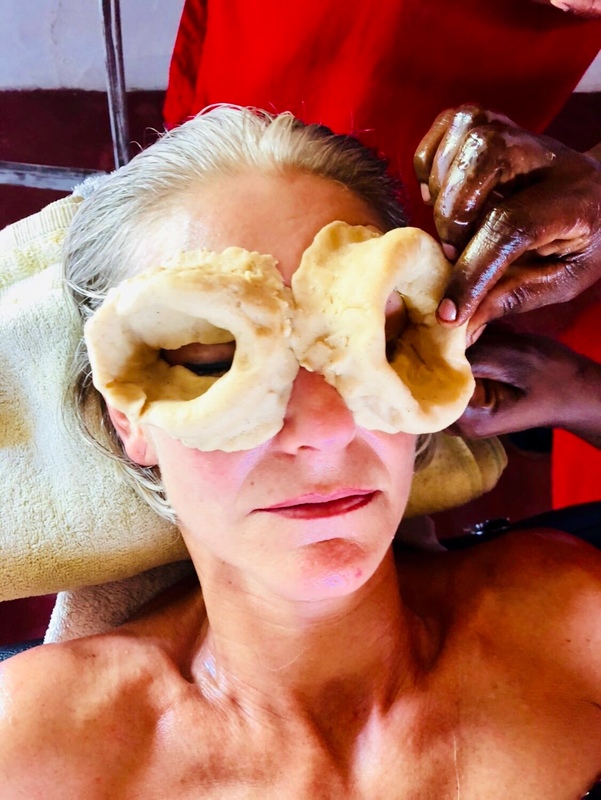 This treatment is highly effective for certain headaches, migraines, mental disorders, sleep disorders, skin diseases, Lymphatic cleansing and more. Treating the eyes with Ghee has a healing effect for various eye problems. It has a cooling, moisturizing and soothing effect on strained or dry eyes, improves eyesight, strengthens the optic nerve and prevents eye diseases. This massage is performed with hot, fragrant herbal bags, and is suitable for various injuries, skin problems, herniated disc, lumbago, sciatic pain, neuropathy, arthritis, peripheral diabetic and general weakness. It also rejuvenates, reduces stress and increases sexual energy. In this treatment, lukewarm herbal oils are poured all over the body in a special rhythmic way continuously for about 45 to 60 minutes per day. This treatment is particularly effective for rheumatic complaints such arthritis or arthrosis, muscle complaints, paralysis, hemiplegia,sexual weakness, nerve problems and premature aging. The name Shirodara comes from the Sanskrit words shiro (head) and dhara (flow). 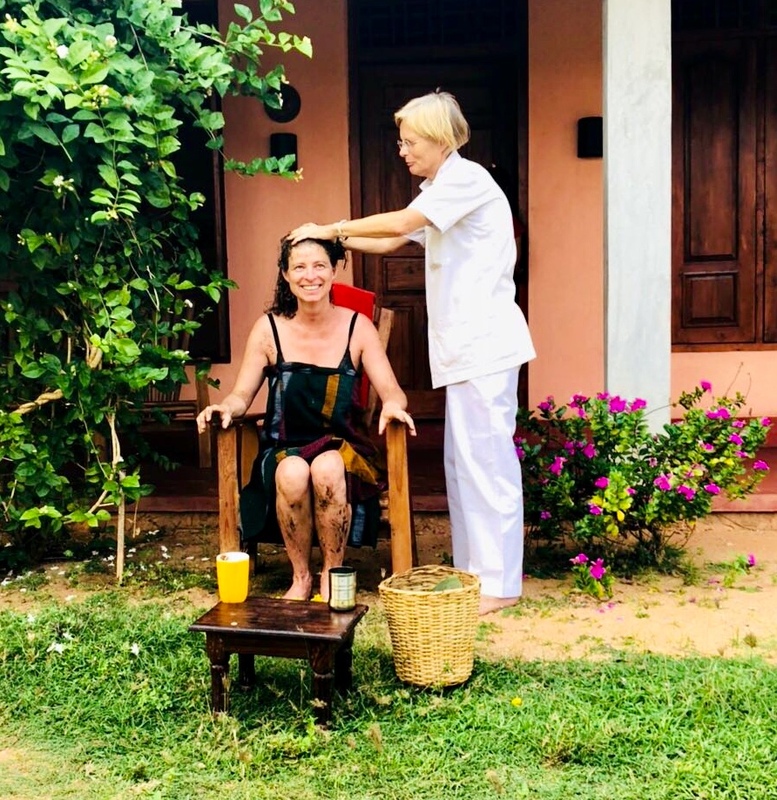 In this Treatment highly medicated liquids such as herbal oils, milk or buttermilk are gently and continuously poured on the forehead for about 45 to 60 minutes per day. According to the Ayurvedic teaching, this calms the entire autonomic nervous system and as a harmonizing and balancing effect. This treatment invigorates the brain and improves memory. It also helps in case of insomnia, paralysis, skin diseases, psoriasis, stress and weakness. Tensions are released, the mind calms down and the nervous system rejuvenates. Forehead oil casting is mostly used in conjunction with a face and head massage, especially in neurovegetative disorders and stress episodes. Ideal treatment for various types of headaches, hair loss, dandruff, premature graying, facial paralysis and Parkinson's disease. This is a traditional dry massage using medicated herbal powder. Dead body cells are removed and the muscles are strengthened. It helps to reduce excess weight, reduces blood lipids and cholesterol levels, promotes joint mobility and invigorates the body. In addition, it is effective for skin problems. Muslin bags are applied for about 45 to 60 minutes per day. This treatment helps with various types of injuries and certain kind of skin diseases. It is effective with spondylosis, lumbago, sciatica, arthritis, peripheral neuropathy of diabetes, weakness and more. It rejuvenates the body, increases sexual power and relieves stress. Is a naturopathic treatment, to reduce obesity and swelling in the body. This therapy also helps to prevent skin diseases. 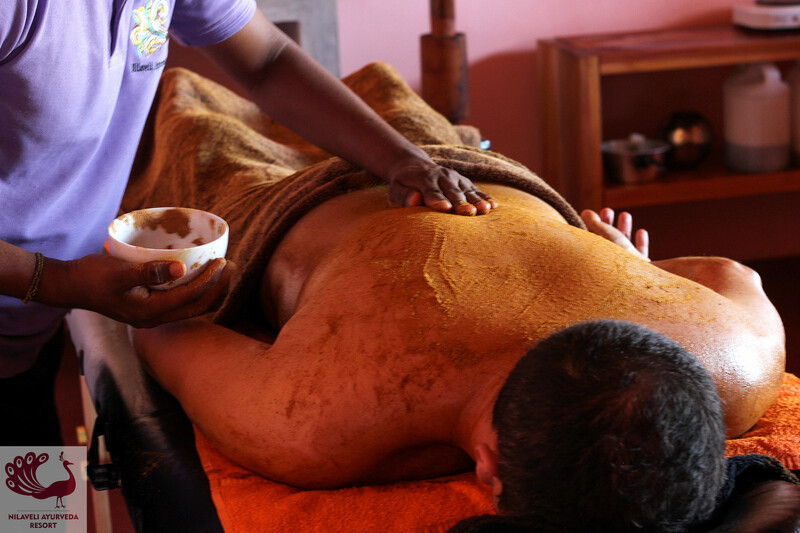 The body is covered by a specially prepared mud, mixed with herbal powders and retained till it gets dry.